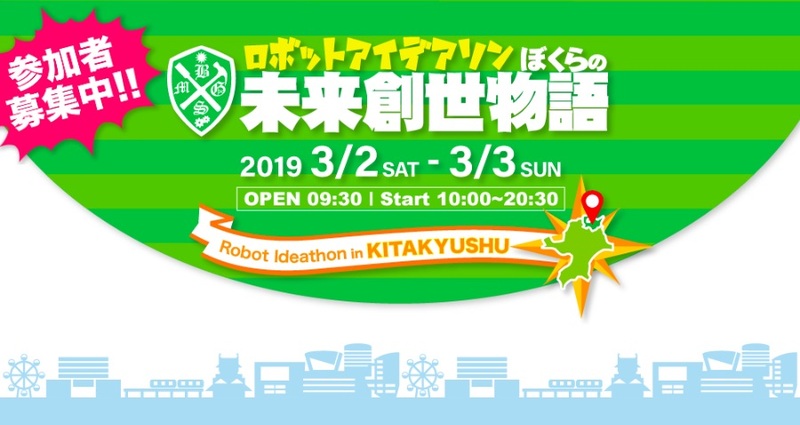 On Saturday, March 2nd and Sunday, March 3rd MJI will be present at the “Robot Ideathon – The Genesis of Our Future”. The event will take place in Kitakyushu Mikuni World Stadium. We will also participate. Applications are required beforehand so please apply from the official website below if you so wish to participate! Target: university student, college college, specialized student only students aged 18 and over. Number of recruits: 100 people · Applications will cease once 20 teams have been registered.